I'm often asked to go looking for items for people and it's like magic when I discover something. Well one of the best tricks in the book is learning how to compare your car vs someone's who has an option your after. Most of the large options are contained in Long Coding and can be found by trying someone else's codes. But what do you do when you want to look for something a little less obvious like the settings for ADS or light brightness. Well that's where adaptations come in. What your going to learn here is how to run an adaptation map that will allow you to take yours and compare it to someone else's and find the differences. 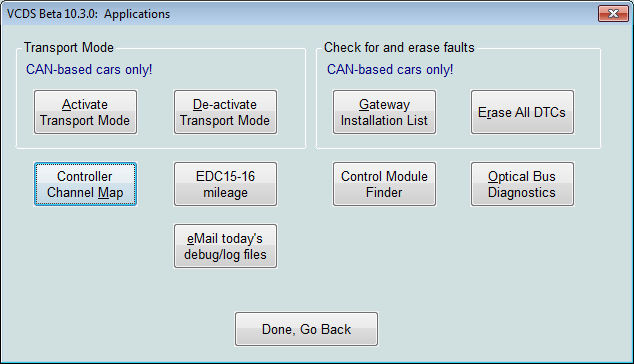 It can also be used to isolate changes that may happen by altering settings in the car. So lets get started. It's assumed that you have a Ross Tech cable and the latest software but previous versions still work the same way. 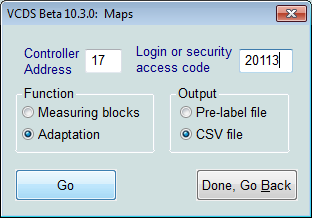 The first step is to decide which module you want to run a map on. 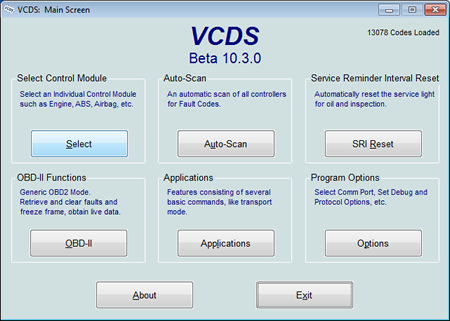 Once you have decided that open VCDS and go to that Module to retrieve any security codes that may be needed. Here is an example of how to find a security Code. 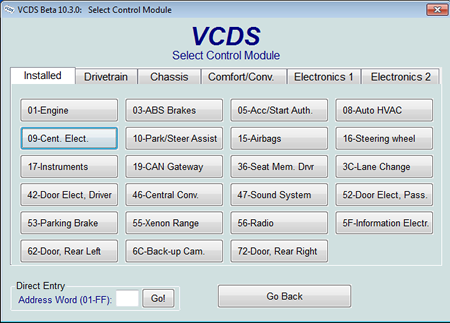 Open VCDS and go to the control modules. Place your mouse into the input area and a popup should show you the security code if there is one for that module. 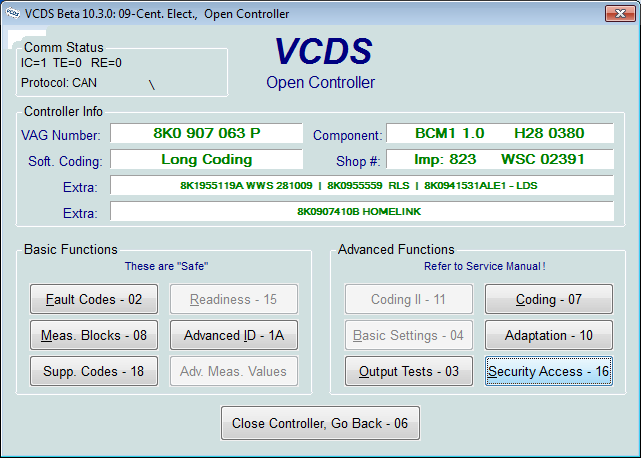 Not all modules require security codes but it's best to check. Write down the code or type it in the box and copy it. You'll need it for running the adaptation map. 4) Choose your output type. 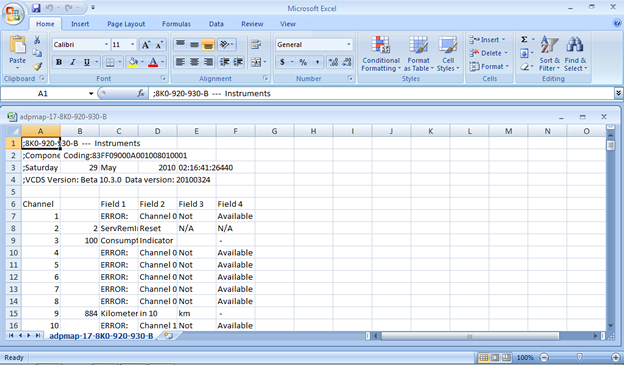 Pre-label file will give you a text file that is difficult to work with, CSV will give you a file that can be opened in excel which allows you easier manipulation. Once you've completed your settings select go and take a break for a few minutes while it runs. Once the scan is finished you can close down VCDS if you no longer need it. 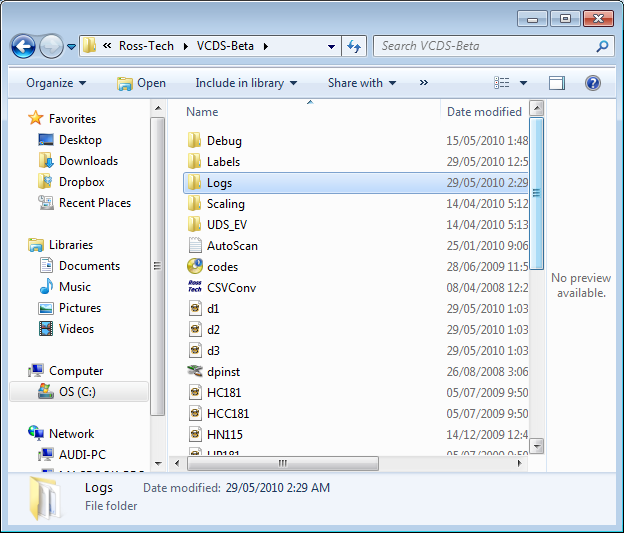 You then need to open the folder that contains the version you used for the scan. 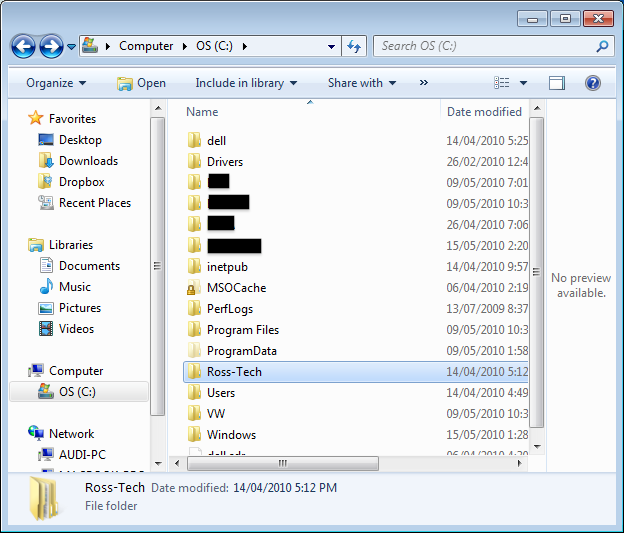 If you have more then one version on your computer you will see more than one folder so choose the correct one. 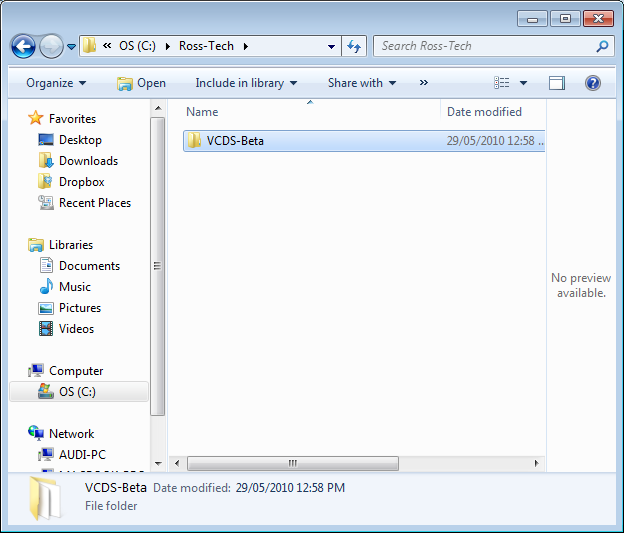 Next open the Logs folder, this is also where you can find the log for all changes you make using VCDS. 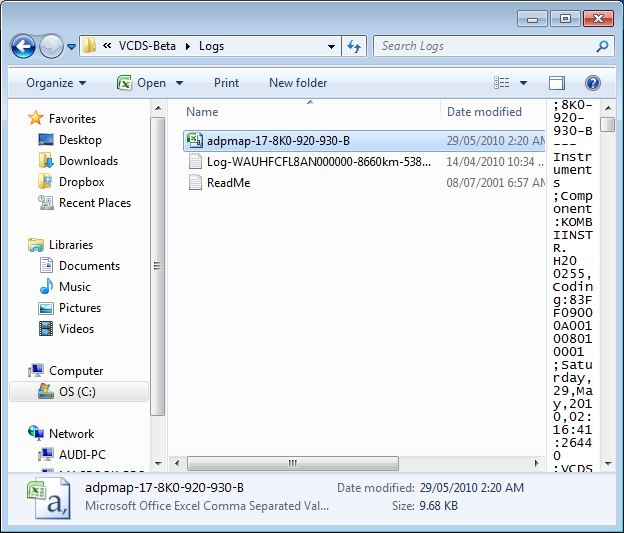 As you can see below there is a file marked as admap the module number followed by the part number. This is what the file looks like when it's open. The easiest way to compare two files is to just paste the 2nd files data into adjecnt cells i.e. G-L and then you scroll down and look for differences. And thats how you run an adaptaion map.